Meanwhile, on the California coast, Spain advanced its interests. For two centuries after the Rodríguez Cabrillo expedition, Spanish interest in California had been sporadic. After Francis Drake's surprise appearance along the California coast, Spain's need to defend its northern claim received short-lived attention. After a series of explorations along the Pacific coast at the end of the 16th and beginning of the 17th centuries, California lay fallow for over 165 years, except for Manila Galleons, which made landfall there from time to time. In 1595, one of the Manila Galleon ships under Sebastián Rodríguez Cermeño wrecked off Point Reyes. 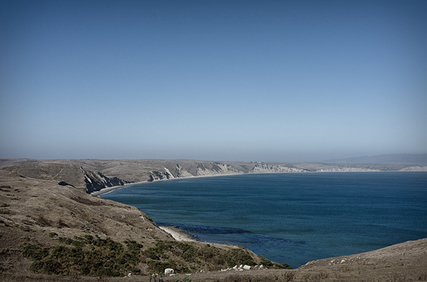 Today, the National Park Service protects and interprets the remains of Rodríguez Cermeño’s shipwreck in Drakes Bay at Point Reyes National Seashore. In 1788, José Esteban Martínez stopped American intruders in the area of the Pacific Northwest that Spain had claimed. In 1779, James Cook entered the Pacific Northwest and threatened the Spanish isolation in the region. Immediately, Spanish officials sought to strengthen their claim there by researching the earliest Spanish interest in the area and by sending expeditions north to reassert their claims. In 1790, Spain contended that a maritime expedition commanded by Juan de Fuca had reached the northern coast of present-day Washington State in 1590. Spanish maps showed the Strait of Juan de Fuca as the possible entrance to the Northwest Passage sought by Drake, Cartier, Hudson, Champlain, and others. For the next two years, 1790-92, Spanish ships, almost in tandem, explored the entire coast north of California. During that period, the Spanish explored, mapped, described, and claimed present-day Sitka, Mt. 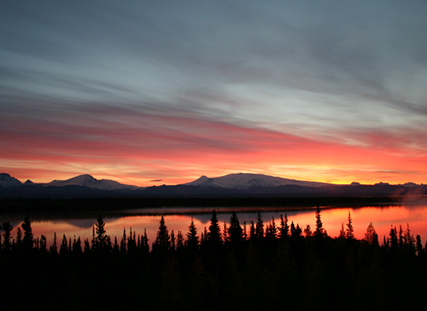 St. Elias, Prince William Sound in the Gulf of Alaska, Kenai Fjords, Cook Inlet, Katmai, and other sites along the Alaska Peninsula. They named places like Valdez and Cordoba after prominent Spanish officials as well as other long since renamed sites. The Spanish also established short-lived settlements on present Vancouver Island, one of which still bears the name of Port Alberni, and Neah Bay, on the northern coast of Washington State, once represented the northernmost, albeit short-lived, Spanish settlement in the continental United States. The history of the Spanish claim to the California coast and north to Alaska is among the many themes celebrated at Sitka National Historical Park, Wrangell-St. Elias National Park and Preserve in Alaska, and at Golden Gate National Recreation Area and Point Reyes National Seashore, Channel Islands National Park, and Fort Point National Historic Site in California.